There are three main types of cloud computing: Software as a Service (SaaS), Platform as a Service (PaaS) and Infrastructure as a Service (IaaS). SaaS is the most popular type of cloud computing, with vendors operating virtual software while providing ongoing maintenance and support in exchange for a monthly or annual subscription fee that’s paid by users. The move to cloud computing has resulted in the introduction of cloud accounting software. Cloud accounting provides accounting services to businesses in a way that’s similar to the SaaS model of cloud computing. Businesses send their accounting data to service providers over the Internet — the data is then processed and returned to the business. With cloud accounting, accounting files are stored online “in the cloud” instead of on computer hard drives or servers. These include hardware, software and IT support costs. Instead of purchasing expensive software, you will effectively rent the software and run it on your office desktops and laptops. Tech support is usually included along with your subscription fee. With cloud-based accounting, you don’t have to hire any IT employees. The cloud vendor handles all IT support and troubleshooting. These are performed by the cloud vendor, which relieves your employees from this critical but often overlooked responsibility. Also, with desktop accounting, the loss of the hardware could result in the loss of financial records, but this is a non-issue when records are stored in the cloud. And desktop accounting limits financial record access to employees who have physical access to the desktop computer where the software resides. With cloud accounting, any employee with an Internet connection can access financial records. Your businesses may experience a loss of control as data is transferred from desktops to the cloud. The switch over from a desktop accounting solution to a cloud accounting solution will require set-up and administration time on the part of your employees. A cloud accounting solution will usually require a system administrator to control access to the system. An on-demand CFO partner from a local CFO services firm can help you meet the challenges that accompany conversion to a cloud-based accounting solution so you can reap its benefits. This high-level financial professional will bring an understanding of financial systems to the table, along with a vision of what the requirements are from a system standpoint in the future. He or she can also perform a return on investment (ROI) analysis to make sure that the most optimal financial solution is chosen. In addition, an the CFO will understand the switchover issues from desktop accounting to cloud-based accounting and insure a seamless transition from one accounting solution to the other. He or she will also understand the data security and access concerns inherent in cloud-based accounting and thus insure maximum control of your company’s financial information. The most cost-effective cloud accounting solution with the greatest long-term value will be chosen. Data security will be enhanced. Financial records will be more accessible while financial integrity will be maintained. Accounting enhancements and updates can be rapidly implemented due to the cloud-based nature of the general ledger platform. The move to cloud computing has resulted in the introduction of cloud accounting software. With cloud accounting, accounting files are stored online “in the cloud” instead of on computer hard drives or servers. There are a number of potential benefits to adopting cloud accounting, including lower costs, leaner staff and automatic software updates and data backups. 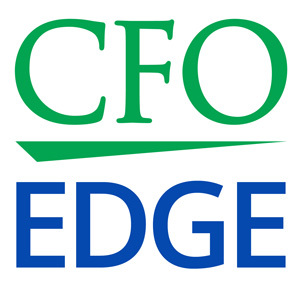 A project CFO or part-time CFO can help you implement a cloud accounting system.